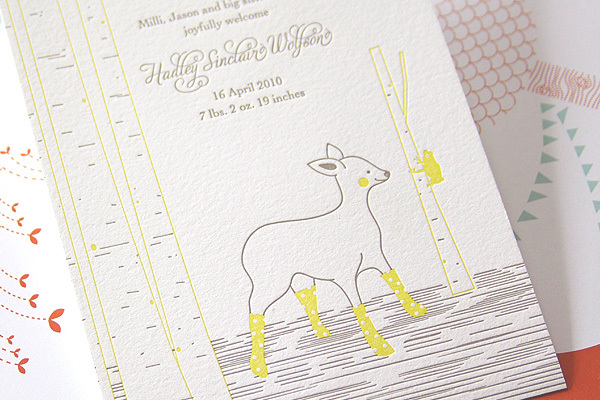 There’s something about letterpress… embossed, colourful, it embodies charm with the touch of an artisan hand. The baby announcements from Ink and Wit really float my boat and they’re high up on the shortlist for when we announce baby boy number three soon. 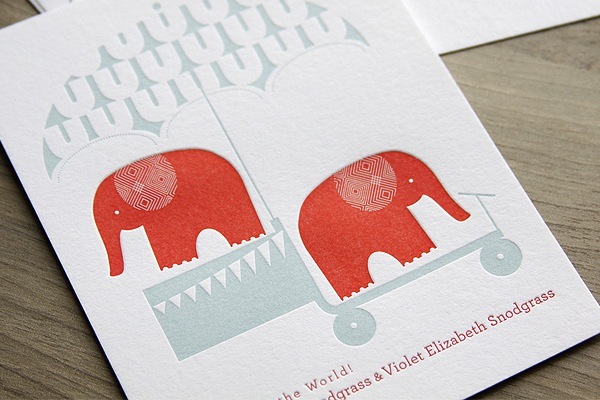 Who can resist a little letterpress elephant, deer or rabbit? 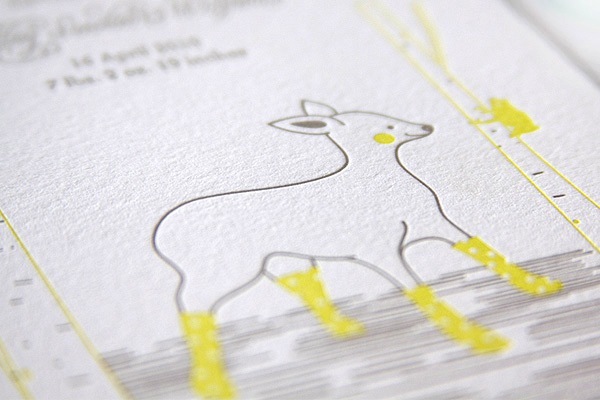 Tara Hogan is the creative talent behind Ink and Wit. 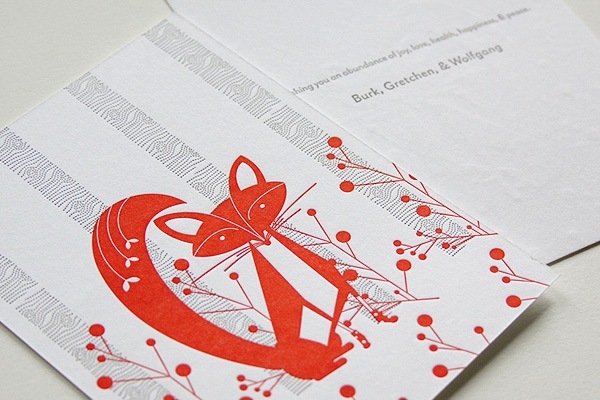 An illustrator and designer, she has applied a keen eye to the letterpress method, to produce custom announcements and wedding invites. 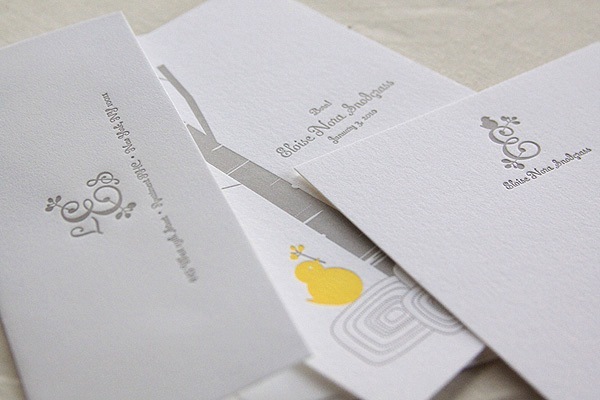 Pricing is individually arranged according to client needs so email Ink and Wit for your quote.